This is going to be a bit of a stretch, but I’ll give it a shot anyways. First off, if you haven’t seen the movie “Elf,” there are going to be some spoilers ahead. Secondly, if you haven’t seen the movie “Elf,” you should do yourself a favor and check it out ASAP. Chances are high (basically 100%) that some channel on TV is playing it right now, as we speak, as I type this article, and then actually right now, as you read this article. It’s an incredible movie, full of laughs and whimsy and Will Ferrell being Will Ferrell at his comedic best. I won’t give too much of the movie away, but there is one scene in the film where Buddy the Elf’s (Ferrell) love interest Jovie (played by Zooey Deschanel) steps up on a carriage and sings in front of a mob of people in Central Park. Her purpose in doing this is to bring up New York’s Christmas spirit so that Santa, Buddy, and the reindeers can follow through with their mission to save Christmas. It’s a zany, lighthearted, and adorable film that will surely either cheer you up or make your day even brighter than it already is. Here’s the scene I am talking about. Give it a watch, and I will follow up with the discussion shortly after. But, before you press play, remember: SPOILERS are contained in the clip. I won’t get too deep into the politics that I usually talk about, but I do want to point out this simple message that I received from this adorable movie: It only takes one brave voice to make something happen. It only takes one voice to start a change. If you read this site often, you already know where I’m going with this. And yes, I know it’s not as easy as I’m making it sound right now. Singing a song in the middle of Saigon or Hanoi won’t make the communist regime fall just like that. It’ll take more than a song to bring down the totalitarian communist dictatorship and bring freedom to Vietnam. However, what I want to say is that if you are someone who has something to say to the communists in Vietnam, then go for it. It may not be as simple as singing a song to raise Christmas spirit for Santa’s sleigh, but, and I’m talking real life now, if you have a message that you believe people need to hear, if you want to speak out against the communists, then use your voice to break the silence. Zooey Deschanel’s scene in “Elf” is just a lighthearted musical number in a fun comedy movie, but to me, it is a beautiful illustration of the idea that, with just one brave voice, something extraordinary can happen. One person with the courage to step up, speak up, and be the guiding light that leads a movement to accomplish something incredible and magical. In “Elf,” this incredible thing is saving Christmas, in our real world, it is saving Vietnam from Communism, and bringing freedom, democracy, and human rights to Vietnam. In this real life scenario, Vietnam is our Christmas, and Jovie, that voice that breaks the silence, is a person we have not met yet, but is definitely out there somewhere. To the Jovie of Vietnam, if you’re reading this, the world is waiting for you. Raise your voice, take a chance, and make something incredible happen. You can do it. Believe in yourself. Well, that’s my motivational speech this Christmas. Hopefully you’re all doing well, and, while I may not always have the time to write on here as much as I want to, my thoughts are always with you, and with Vietnam. I wish I got paid to write on here, but hey, you can’t get everything you ask for. Still, though, a guy can dream, right? Merry Christmas, everybody. Happy Holidays, and have a Happy New Year! Devereux, Robert. “South Vietnam’s New Constitutional Structure.” Asian Survey 8, no. 8 (1968): 627-645. As its title indicates, this article by Robert Devereux provides analyses of the provisions within South Vietnam’s constitution, which was promulgated officially by Nguyen Van Thieu on April 1, 1967 (p. 628). For anyone interested in exploring in-depth the function and structure of South Vietnam’s democratic system, Devereux’s article is a fantastic starting point. Following the usual format, this brief blog article will only cover a few of the many important insights about South Vietnamese democracy covered in Devereux’s work. However, the points raised in this entry will be more than enough to prove the credibility of South Vietnam as a true and functional democracy. To begin, Devereux’s article shows that in 1966, of the estimated population of 14.5 million people in South Vietnam, 5,288,512 were registered to vote, and 4,274,812 did just that. The day of the election was September 11, 1966, and these over four million people went to the polls to elect their new Constituent Assembly, which consisted of 117 members (p. 627). One year following this important election, a formal presidential election took place on September 3, 1967, resulting in Nguyen Van Thieu’s election as the new President of the Republic of Vietnam (p. 628). Also on that day, 60 new Senators were elected to South Vietnam’s Upper House, and on October 22, 1967, another 137 representatives (called Deputies) were elected to the nation’s Lower House (ibid). In South Vietnam, elections were carried out by universal suffrage and secret ballot (p. 631), a point relevant here for clearly demonstrating the verity of South Vietnam as a democratic nation. The major events above are mentioned in the introduction to Devereux’s article. The sections following then delve at great length into the various chapters and sections of South Vietnam’s constitution. Covered by Devereux in his article are the many provisions outlining the functions and powers of South Vietnam’s three branches of government: the Executive, the Legislative, and the Judicial. The Executive section talks about the powers of the President, the Prime Minister, and the Vice President, and their duties and responsibilities to the National Assembly and other government organs (p. 628-631). In the Legislative section, the process of introducing and approving bills is discussed, with details on how the Senators in the Upper House and the Deputies in the Lower House go through the process of making laws (p. 631-634). Lastly, for the Judicial branch section, the process of selecting judges to the Supreme Court in South Vietnam, as well as details of the country’s judicial process, are examined (p. 634-636). In addition to these sections, Devereux’s article also talks about other important parts of South Vietnam’s government structure, as covered within the constitution. Specific offices and governmental organs, described as Special Institutions, are discussed (p. 636-640), as well as the functions of Local Administrations in South Vietnam (p. 640-641), and very importantly, in the Political Parties section, the guaranteed rights of opposition parties to form and operate in the Republic (p. 642-643). Devereux moreover provides important insights on the human rights aspects of South Vietnam’s constitution. In the Bill of Rights section of the constitution, as summarized by Devereux, many statements are presented which guarantee and defend the rights of South Vietnamese citizens. Examples include a line from Article 6 of the constitution, which stipulates that the state is pledged to “respect human dignity, and the law every citizen’s freedom, life, property, and honor,” (p. 641). Furthermore, in Article 8, the document “guarantees the privacy of a citizen’s personal life, home, and correspondence…” and that “Freedom of thought, speech, press and publishing is guaranteed,” (ibid). “No one can enter, search, or confiscate the property of a person without a properly executed court order, unless it is necessary for the defense of security and public order according to the spirit of the law.” (p. 636). These provisions outlined clearly illustrate the democratic foundations in which South Vietnam was built. 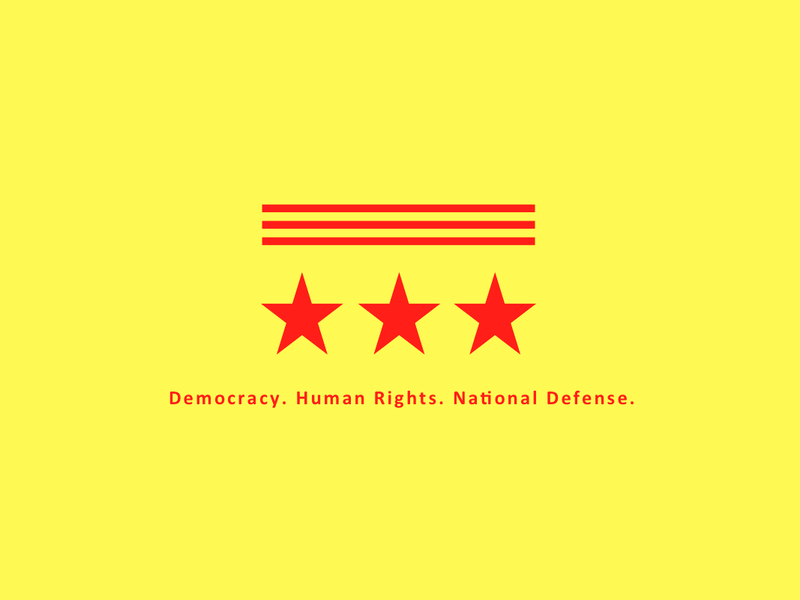 From the information above, it can be clarified that the Southern Republic was one that respected human rights, and one that championed the basic rights and freedoms of its citizens and the rule of law. Evidences provided in this article clearly demonstrate that South Vietnam was a true liberal democracy. Proven throughout this post, through Devereux’s findings, is universal suffrage, secret ballot elections, a system of checks and balances in government, individual’s rights, constitutional rights, and multiparty democracy in South Vietnam. For all of its challenges as a young and developing nation, the Republic of Vietnam had all the foundations, and met all the criteria of being a liberal democracy. Further study will continue to prove this fact. In terms of establishing a base for research on this topic, this source by Robert Devereux is an excellent place to begin. It’s that time of year again. The annual Merry Christmas, Happy Holidays, and Happy New Years from your favorite Vietnamese human rights blogger. Sorry I’ve been kind of a ghost this year, and haven’t been covering as much as I would like to. Even though it may seem as if I’m not always around, you can rest assured that I am working tirelessly, and will never quit fighting for liberty, human rights, and democracy for the people of Vietnam. I’ve witnessed some great strides in the fight for freedom in the year of 2013. Overseas, there are brave, hardworking, and incredibly creative individuals like Truc Ho, Viet Dzung, and the entire SBTN crew have made leaps and bounds in spreading awareness to the dire situation that the Communist Party has been putting the country through. Inside Vietnam, the fight continues, and is only heating up. 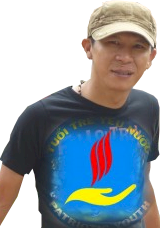 Young people in Vietnam like Dinh Nguyen Kha and Nguyen Phuong Uyen, just two of many courageous youth, have broken the silence and exposed the party for what they are: cowards, traitors, and heartless (yet spineless) dictators. As I write this, many more young people continue to join the struggle for liberty, democracy, and human rights for our beautiful nation of Vietnam. I can foresee an even more eventful year for our upward march to democracy, and, to the best of my ability, I will try to keep you updated every step of the way. Well, before I ramble anymore, I think I’ll just stop myself now and save my rants for another day. 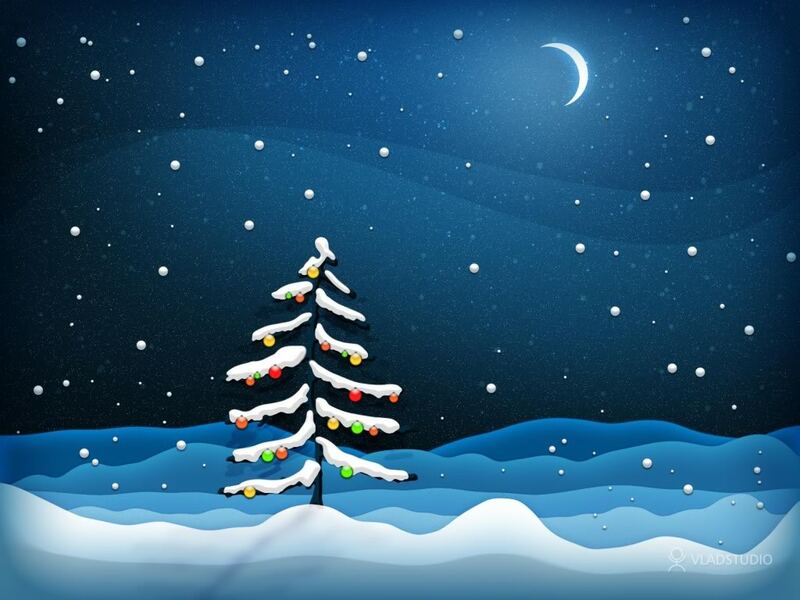 Tonight, I wish you all a Merry Christmas and a Happy Holiday. P.S. To do something different this year, I thought I should share with you all one of my all-time favorite holiday songs . The lyrics, melodies, and just overall presentation of this song makes me a little more cheerful every time. Here is “Grown-up Christmas List,” written by David Foster, and performed here by Michael Bublé. 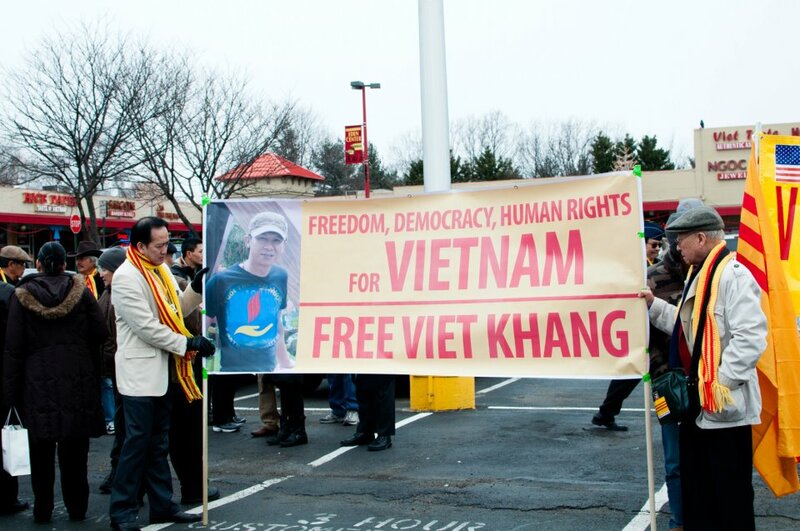 It’s been a while since we’ve heard of Viet Khang’s whereabouts, no one really knows what happened to him. What we do know is that he has not been freed by the Communist government. Whether he is still alive or not is also a big question, one that probably won’t be answered for a while, if ever. However, that is no reason for us to feel hopeless or discouraged. Brother Viet Khang knew full well what he was getting into, and I am sure that he did not sacrifice himself just to see us fall into despair. Through a collection of courageous acts, Viet Khang was able to capture the attention of the entire world. With the help of Mr. Truc Ho, Viet Khang’s music has shown the world the sad way of life that the Vietnamese people are faced with every single day. Viet Khang painted the crimes of the Communist Party, making it crystal clear to every Vietnamese across the world. 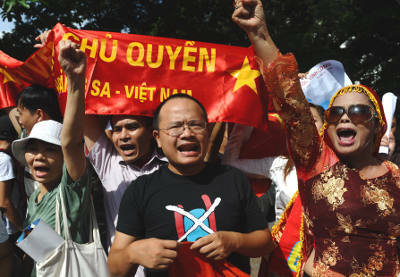 Before Viet Khang, only a handful young Vietnamese oversees knew about the atrocities committed by the Communist Party. Now, Vietnamese people across the continents, young and old alike, are now conscious of the dire situation that the Party has put the country into. As young Vietnamese living oversees, what can we do about it? As individuals who are shut out from the Communist system, it may feel like we are powerless in dealing with the Communist Party. This however, is a misconception. As citizens of a free and democratic country, young adults like yourselves have something that is extremelt valuable. That gift, my friends, is the right to vote. As explained very eloquently by Mr. Truc Ho, election season is coming up, and the presidential candidates will do whatever they can to acquire the most votes. This means that they will be more than happy to appeal to all types of social groups across the country, and as Vietnamese living in America, you too can be a part of this. It is true that Mr. Truc Ho did not meet the president on his visit to Washington, but the fact remains that he was invited to the White House. Because of his hard work and genuine dedication, Mr. Truc Ho had captured the attention of the White House. Besides human rights, there is a very prevalent reason that Truc Ho was invited to Washington. By rallying nearly 150,000 signatures to his petition, Truc Ho has shown that there is a strong group of potential voters out there. If there is one thing that a politician loves, it’s the vote. There are millions of Vietnamese adults living in the U.S., and as American citizens, we all have the vote. If we show the politicians that we are united, they will listen to what we have to say. 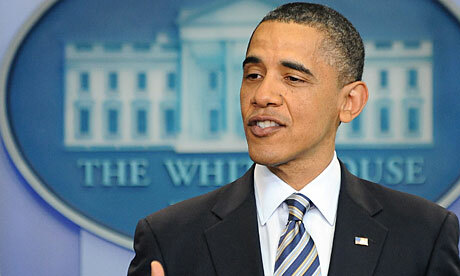 It does not have to be Barack Obama that we are calling upon. If our voice is strong enough, other candidates will come to us, instead of the other way around. 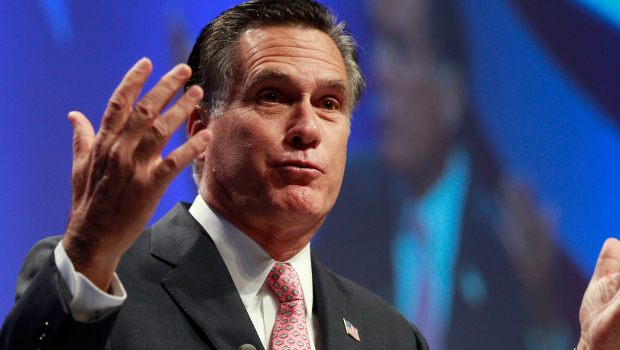 It is not out of the question for Governor Mitt Romney to throw is support behind us if we are willing to reciprocate with our votes. Whether it be the Democratic Party or the Republican Party, it could not matter less. When the presidential candidates realize that there are a million of us, united in our cause, and united in our vote, it will only be a matter of time before they offer their support to us. Mr. Truc Ho has a very clear vision, and he communicates it very well. If you want to hear more about this campaign, watch Truc Ho’s SBTN program, for he has much to teach us. One final word, and this involves all of us. Whether you are young or old, whether you partake in the democratic process or not (let’s be honest, I know not all of you vote), just be proud of who you are and where you are from. Before we even exercise our democratic rights, just remember that we are Vietnamese, and that we take pride in our culture and our heritage. It is undeniable that we are proud of our homeland, whether it be America, Canada, Britain, France, Germany, or anywhere else in the world. That being said, don’t forget that we are also Vietnamese, our parents are Vietnamese, and our grandparents are Vietnamese. We must be proud of that as well. One love.